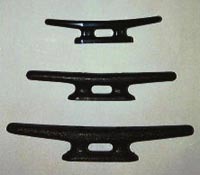 Cleats are high impact, long-lasting black nylon. Will not rust or corrode. Light weight and inexpensive.